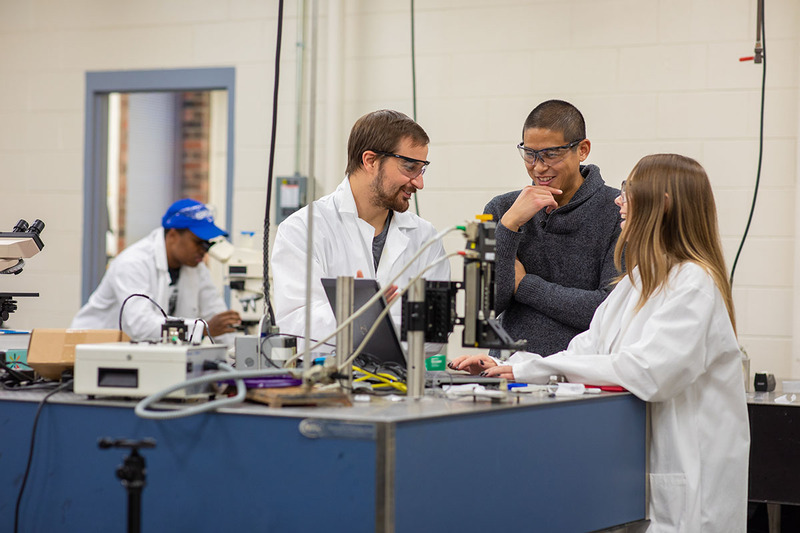 The Materials Science and Engineering program at the University of Kentucky has been awarded a Graduate Assistance in Areas of National Need (GAANN) grant from the U.S. Department of Education. The three-year grant will total $450,000. Associate professor Matthew Beck and assistant professor Jonathan Pham will direct the grant. The GAANN grant will provide funds to support graduate students pursing doctoral degrees in materials science and engineering at UK. The general aims of this GAANN fellowship program are to educate graduate students in materials research and teaching, while increasing the number of traditionally underrepresented students working towards Ph.D. degrees in materials science and engineering.